Monster High™ and the Kind Campaign Partner to Bring the Power of Kindness to Girls | Mattel Inc.
EL SEGUNDO, Calif.--(BUSINESS WIRE)-- Monster High™, Mattel's popular tween and teen-targeted franchise, which encourages girls to celebrate their imperfections and embrace those of others, today announced that it is partnering with the Kind Campaign, a movement, documentary and school program dedicated to spreading the message of kindness. Based on a simple and empowering solution to bullying, the intent of the Kind Campaign is not to point fingers, but instead, to put ourselves in each other's shoes, and make the personal choice to be kind. The Monster High™ brand reaches teen and tween girls through content, toy, consumer product, publishing and entertainment and leverages storytelling to highlight the awkward, yet relatable moments of being a teen in high school — from the challenges of fitting in to the powerful bonds of friendship — all delivered through a monster lens. "The Monster High brand uses the monster metaphor to show girls that it is ok to be different and that our unique differences should be celebrated," said Lori Pantel, VP Marketing, Global Mattel Girls Brands. "We see our partnership with Kind Campaign as a natural fit because their message of kindness and acceptance goes hand-in-hand with the Monster High brand's message to embrace our own and each other's imperfections." Kind Campaign founders Lauren Parsekian (age 24) and Molly Thompson (age 23) have visited more than 300 schools and organizations with their Kind assembly program and their inspiring documentary "Finding Kind." The film is currently touring the festival circuit, where it has received numerous awards including the Student Choice Award at Sprockets Toronto International Film Festival and Best Documentary at the Palm Beach Women's International Film Festival. "We are excited to partner with Monster High and have the opportunity to leverage the brand's scale to reach and relate to our target audience of teen and tween girls. In teaming up with Monster High, we will be a step closer to our goal of reaching every girl across the country with the message of creating change through being kind," said Lauren Parsekian, co-founder of Kind Campaign. This fall, Monster High™ and Kind Campaign will team up to launch special programs and content for teen and tween girls spreading the message that it is cool to be kind. 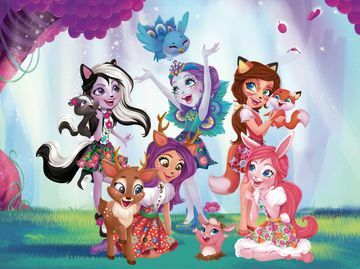 One of these planned programs will leverage the popularity of the Monster High™ animated webisode series to launch content that incorporates the Kind message. Making a special appearance in the halls of Monster High™, Kind Campaign founders Lauren Parsekian and Molly Thompson will be transformed into monsterfied characters and teach the students at Monster High™ the importance of being kind — because that, at the end of the day is how we are going to create change. Additional activities will be announced this fall. Kind Campaign is an internationally recognized movement, documentary and school program, based upon the powerful belief in KINDness, that brings awareness and healing to the negative and lasting effects of girl-against-girl "crime". Founded by Lauren Parsekian and Molly Thompson in 2009, Kind Campaign aims to STOP the competition, STOP the cattiness, STOP the hate, and to BE KIND. Over the last year and a half the organization has spread its message through impactful assemblies and screenings of their documentary feature, "Finding Kind" presented by IndieFlix, at more than 300 schools and organizations across the country. Kind Campaign and associated trademarks and trade dress are owned by Kind Campaign, NPO ©. 2010 Kind Campaign, NPO. All Rights Reserved.